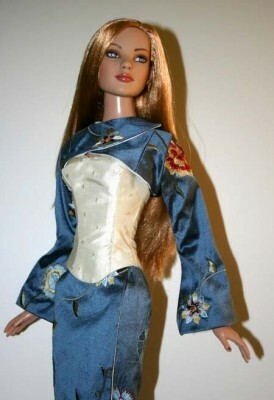 Up for consideration is French Connection for 22" American Model Dolls desigsned by Tamara Casey. 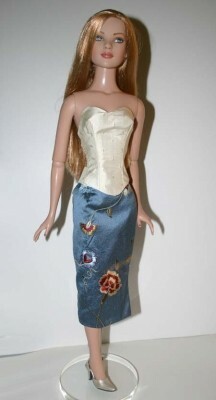 The pattern includes a fitted bustier, below the knee wrap skirt and a cross-over bolero style jacket with fluted sleeves. 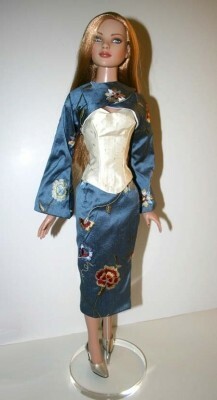 This design is also available for 16" Tyler Wentworth and Antoinette fashion dolls. The PDF version prints on A4 and 8 1/2 x 14 legal size paper. 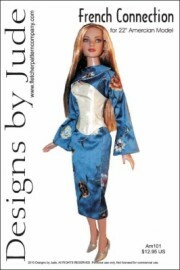 Notions: Sna Sets for the Bolero and Bustier, Hook and Eye sets for the wrap skirt.